It’s the season to shop! Are you hesitant about shopping on the internet, wondering if the site is legitimate and whether you will actually get the item you are buying and that your credit card information will remain private? 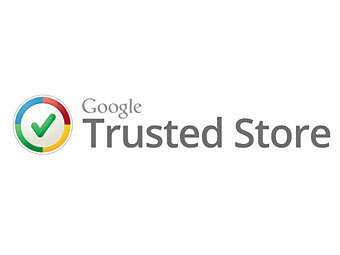 If so, in October of 2011, Google launched a new service for you; Google Trusted Stores. Online stores apply to Google, who will verify that they meet Google’s standards of good quality and service and then allow them to put a badge which consists of a large green check mark in a multicolored circle in the lower right of the site. The customer can then shop knowing they will receive reliable shipping, excellent customer service, and free purchase protection (Google will reimburse a dissatisfied customer up to $1,000.00.) The benefit to the store is the increased confidence of new shoppers and attracting new customers from Google. Large well known stores such as Macy’s or Landsend don’t need to do this so not every site you can trust will have a Google Trusted Store logo, as they must apply and give information about their sales and service. This entry was posted in Beneficial Bits n' Bytes, Uncategorized and tagged beneficial bits n' bytes, google trusted stores by ccld. Bookmark the permalink.